Yankees Announce Tommy John Surgery for Didi Gregorius – Manny Machado, Come On Down? When it comes time to think about committing $250+ million to an individual player for upwards of a decade, any single season of “fit” is probably not going to be a decisive consideration. So, when the Yankees today announced that starting shortstop Didi Gregorius was undergoing Tommy John surgery, it shouldn’t immediately make you think that it means they’ll definitely be the ones to sign 26-year-old superstar free agent Manny Machado. … except it does make you think precisely that, because it’s the Yankees. They don’t exactly need much of any opening to spend huge on a big-time free agent. As we discussed yesterday, the Yankees figure to have an obscene amount of payroll space available to them if they wish, and, much like we say about the Cubs, the Yankees are an orgnization that can afford to go after young, generational talents in free agency, and then worry about the fit later. In other words, even if Gregorius were healthy, and the Yankees had Miguel Andujar and Gleyber Torres at third base and second base, they might *still* go aggressively after Machado (especially since Gregorius is a free agent after next season anyway). Get the guy while he’s available, figure out the rest later. And now that they might miss Gregorius for much of 2019, without any promise that he’ll be as good as he was this year? Yeah, I’d say the Yankees’ aggressiveness on Machado figures to have just jumped considerably. 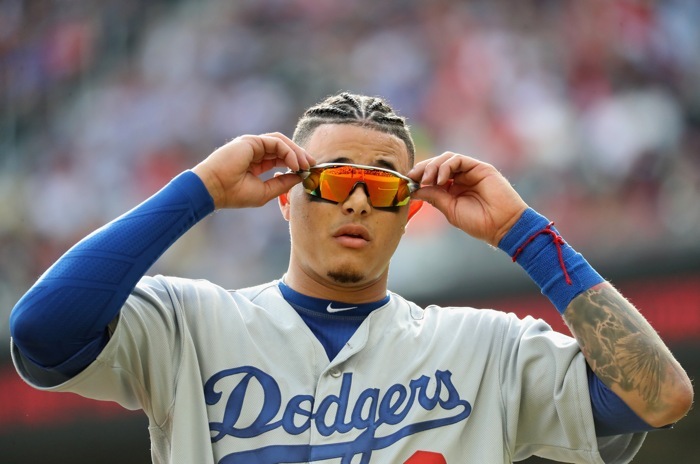 Whether the Cubs were going to be all in on Machado or other free agent(s), you certainly don’t want to see a deep-pocketed club like the Yankees have all the more incentive to bid up the price.